The smaller crowds and 20th Century art at Pinakotek der Moderne in Munich, Germany makes this museum a stand out can’t-miss. Designed by German architect Stephan Braunfels, the museum opened in September 2002. Munich’s art collection was not affected by the Nazi’s regime of banning modern art, perhaps because Munich’s collection was fairly slim at the time of the war. However, after 1945 the modern art collection of Munich blossomed, and today the Pinakotek der Modern holds stellar examples of modern art, from known masterpieces to sleek design of everyday products. If you visit Munich, the museum is a definite sightseeing stop. In town on Sunday? It’s only one Euro. Can’t make it during the day? The museum is open until 8:00 p.m. on Thursdays. 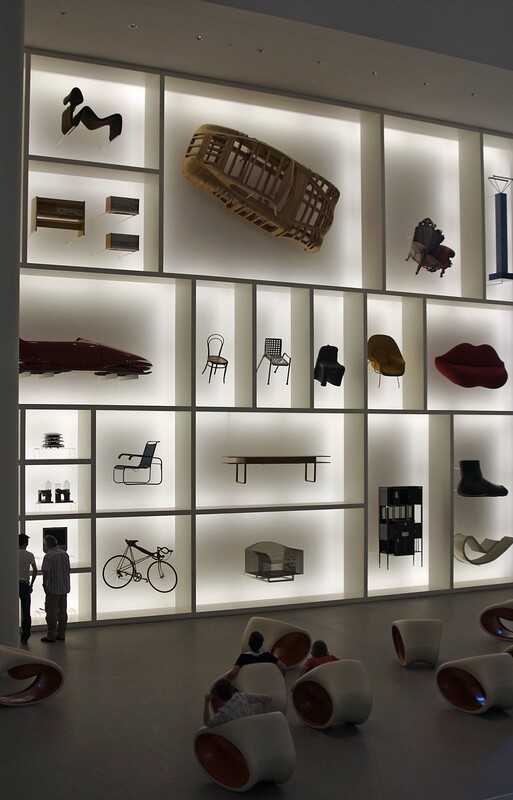 This entry was posted in Travel and tagged Germany, modern art, Munich, Pinakotek der Moderne, Stephan Braunfels. Bookmark the permalink.